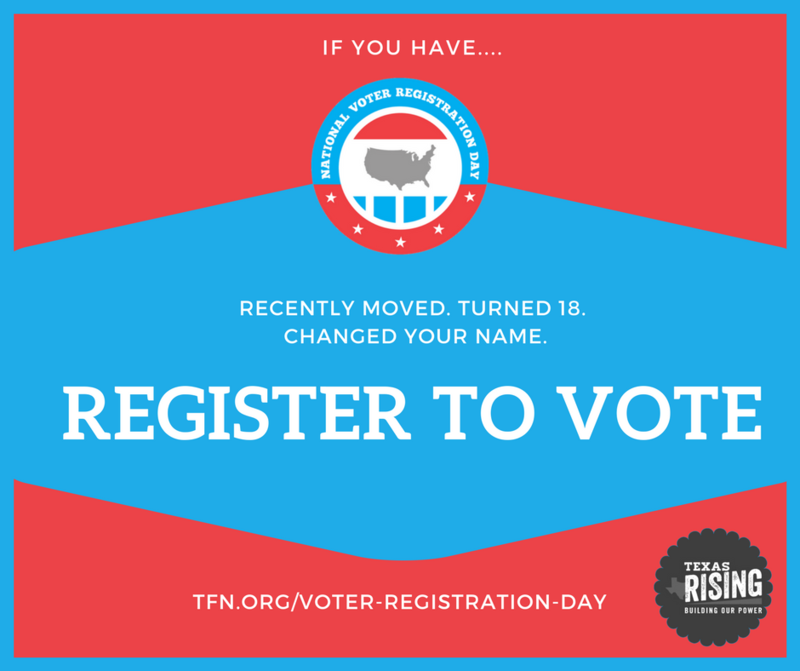 Did you know that if you recently moved, turned 18, changed your name, or haven’t voted in recent elections, you need to update your voter registration? Last year, millions of Americans didn’t vote because they missed a registration deadline or didn’t know how to register. National Voter Registration Day is a day of action before state deadlines begin in October. Only 1-in-5 eligible voters turn out for local elections (including races for mayor, city council, and local ballot initiatives.) These offices and issues affect our daily lives – we need to vote local! 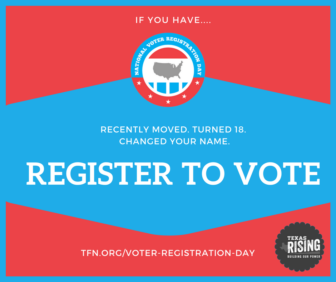 Texas Rising student chapters are hosting voter registration drives in cities across the state on Tuesday, September 26. Visit onetexasresistance.org for more locations across the state. 11 A.M – 2 P.M.
11 A.M – 4 P.M.
12 P.M – 2 P.M.
9 A.M – 3 P.M.